Listen to this recording for the in-between song comedy, if nothing else. Huh? 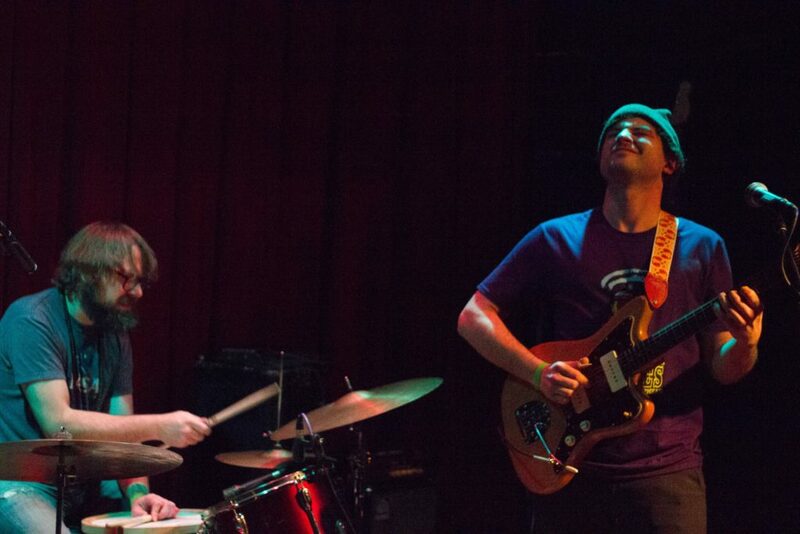 Oh, right, but this is Ryley Walker we’re talking about — the Very Serious Musician who writes Very Serious Songs and does Very Serious Things like 55 minute psych-improv blowouts with Steve Gunn and Ryan Jewell. This is Ryley Walker, who does a 2LP song-by-song cover of an unreleased Dave Matthews album as his second record of the year — a cover album so good that it convinces music snobs that yes, Dave Matthews is actually a pretty darn great musician. Come for comedy if you must, but become lifelong believer because of the music. This was Ryley’s second of four residency shows this month at Union Pool. In addition to a truly hilarious extended riff about garage bands at SXSW circa 2009 (with a note-accurate parody song included) and Chicago bands who fail to get picked up by Touch N Go (with a note-accurate parody song based around the riff from June of 44’s “Dexterity of Luck”), Ryley and drummer Jewell delivered a new jam (title TBD), a very familiar cover (“If I Were A Carpenter”), songs from the exceptional 2018 LP Deafman Glance, and “Primrose Green,” from the 2015 album of the same name that seems like aeons ago musically. Whether or not certain naysayers at the time made lame Van Morrison comparisons (based as much on the album’s cover art as its sound), many of those songs are really good, and it’s a joy to see them coming back in the rotation. As I’ve mentioned before, what feels like the biggest difference from the 2015-era shows is how Walker’s live renditions more closely match the album’s style. Sure, it’s still “sad acoustic guitar indie folk man” music in a sense (as Walker put it), but “Telluride Speed” and “Spoil With the Rest” were played here more or less in the style of the album versions, versus the 14-minute jam version of “Halfwit In Me” that’s long been a tour staple. I don’t know if it means that Walker feels more comfortable with the Deafman songs as the band played them in the studio, or if these songs are just waiting their turn for the extended treatment, but either way, it’s working. This show also features a hilarious story about taking acid in relation to a King Crimson concert (listen to the story) and some self-deprecating musings about Primrose Green. This might be the first show I’ve witnessed by a serious musician that almost seemed to spawn a new genre: sort of a Yo La Tengo Hanukkah set with a comedian, except that the comedian appears during the set. 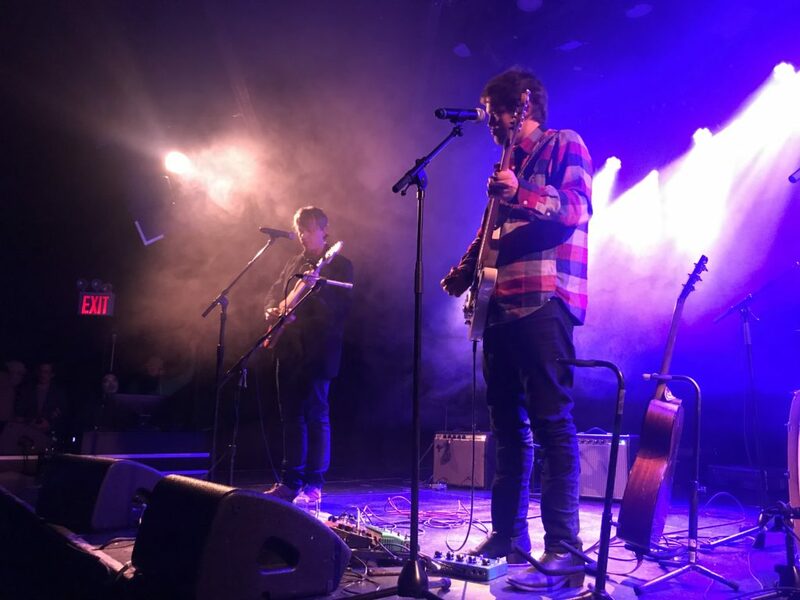 There are two more Tuesday nights this month where you can catch Ryley Walker at Union Pool, with more special guests promised. Based on the first two, it’s pretty clear that you shouldn’t come with any preconceived notion of what you’ll hear, but be prepared to enjoy yourself. Tickets for next week’s show are here. Doug Graham once again outdid himself behind the board. Combined with my Schoeps MK5 mics, it’s yet another excellent recording for you to enjoy. Take a look around at a Grateful Shred show and you notice something…different. Folks in the crowd don’t look like they saw the Grateful Dead in the 70s, the 80s, or hell even in the 90s. 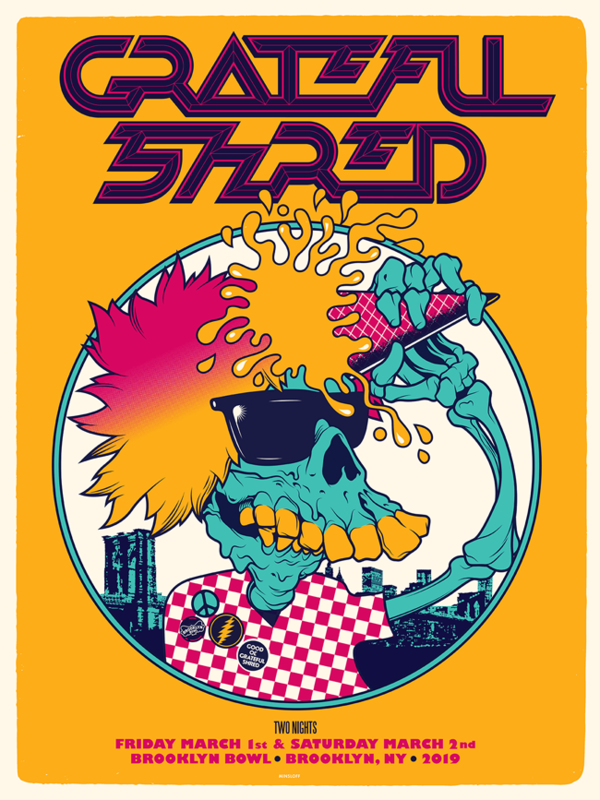 No, Grateful Shred aren’t your dad’s Dead tribute band and here (mostly) everyone’s under forty. 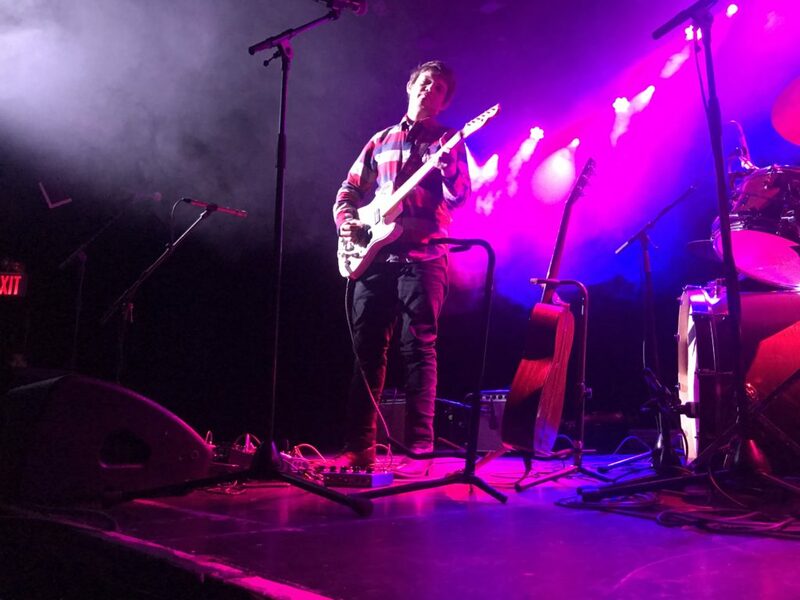 Maybe that’s just Brooklyn, but you can tell the Shred are aiming for something different as much by their approach to the catalog as by their openers and guests: local jammers Garcia Peoples opened this most recent pair of shows while San Francisco’s Howlin’ Rain played last year. 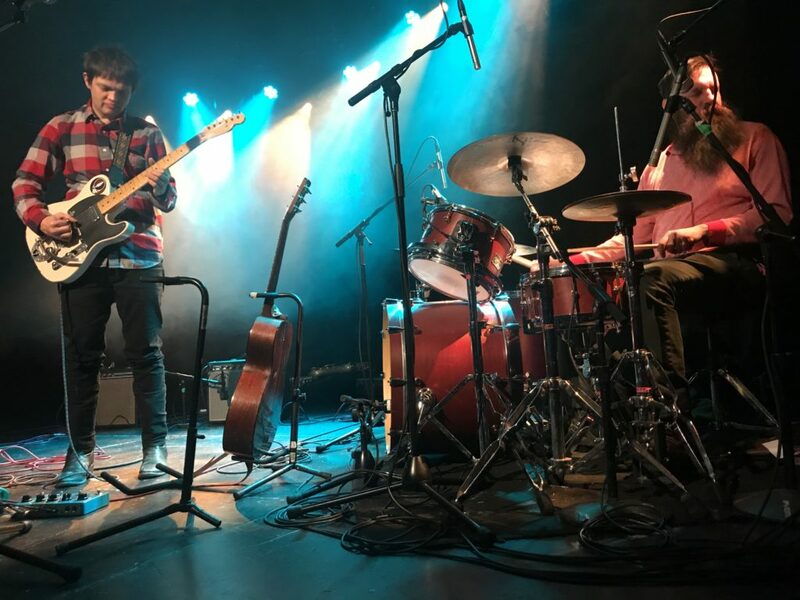 The newly-local Ryley Walker (who seems to be showing up everywhere this month) joins in during “Space” and sticks around to solo on “Touch of Grey.” Touchhead or no, the result is delightful. 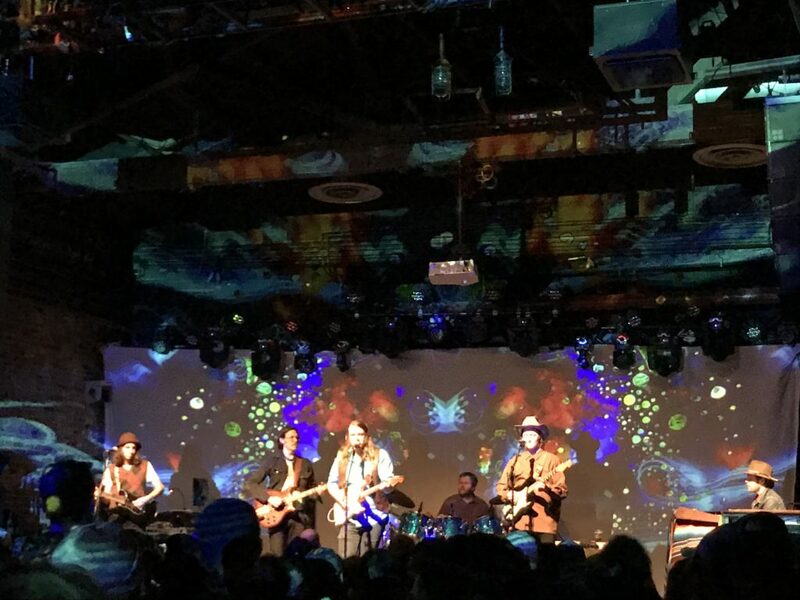 That jam concludes a long second-set suite that includes “Estimated Prophet” into “Truckin” into “The Other One,” capping off over forty uninterrupted minutes of bliss and probably the highest high I’ve seen Grateful Shred hit yet. These guys just keep getting better. I recorded this set with the MBHO hypercardioids from my usual spot at Brooklyn Bowl, resulting in a pretty good audience tape. There’s an expertly made board tape also over at the LMA, if that’s your thing. NY underground music heroes (hyperbole, that? nah….) Oneida are always an event in and of themselves, even when they’re the opening band. On this night they were out to celebrate the record release of Sunwatchers, and celebrate they did, with a full-length set that included a fun Flipper cover (“The Way of the World”) while focusing on their 2018 record Romance, unquestionably one of the best releases of last year. The set was bookended with classics, including “Snow Machine” from 2001 and “All Arounder” from 2001’s Anthem of the Moon. Combine that with the DIY ambiance of the Glove and the sick Macrodose light show, and you’ve got yourself a recipe for a Friday night, friend. I recorded this set with Schoeps MK4V microphones halfway to the front of the room. The sound quality is excellent. Enjoy!